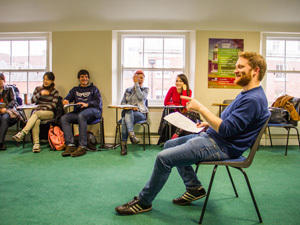 Linguaenglish Dublin is a privately-run English language school and has been teaching English courses in the heart of central Dublin for 5 years. 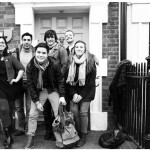 Teaching English as a foreign language is where we stand for. Our team of high qualified teachers is very enthusiastic and, together with our administration staff, they will make you feel at home from your first day at school. 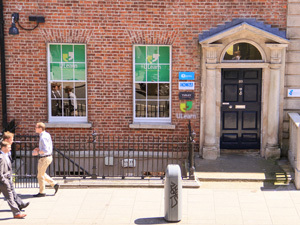 Located only 5 minutes from Grafton street in a nice and spacious building, Lingua Dublin has spacious classrooms, a common room and a library/computer room. Whether you want a coffee and a chat after class, to surf the Net, watch a DVD or study some more, we have all the facilities you need. 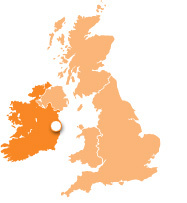 There�s also WIFI available in the school building if you wish to bring your own laptop.